Insightly is a “CRM + Project Management” solution for small businesses. 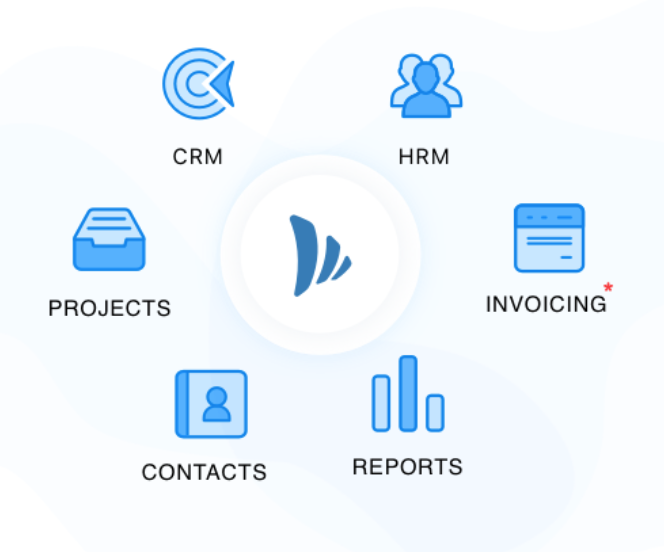 While it provides many features for CRM and PM, critical factors like usability, learning curve and significant setup time make Insightly unsuitable for small businesses. Also Insightly lacks the features to manage employees (HR). TeamWave is a complete platform to manage & streamline everything in your company: Project Management, CRM & HR. Why TeamWave is the leading Insightly Alternative. Small businesses need simple software that can provide most of the functionality out of the box. Essentially the software should have a minimal learning curve, setup time and save resources (time and money). CRM customization is important for businesses – it helps a company align the CRM system with own processes and extend the functionality. Insightly doesn’t provide any default sales pipeline. TeamWave gives you get a pre-built sales pipeline with five sales stages that help you get started right away. You can also edit the sales stages with two clicks: click on settings and click on the stage which you wish to edit. Add additional pipelines from the same page. Insightly only gives you a list view of all the sales opportunities. 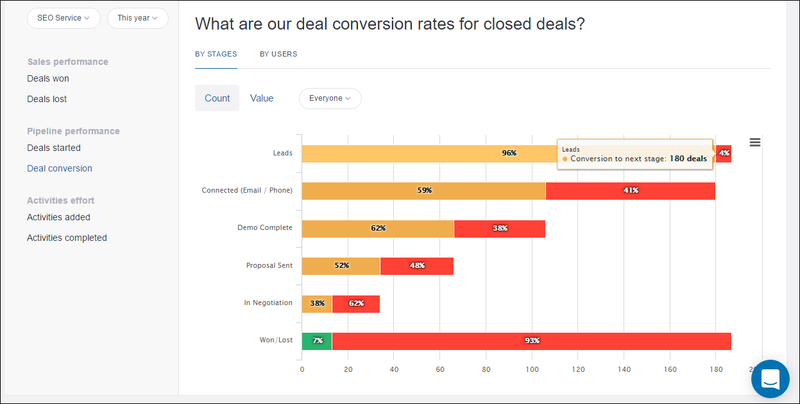 This is not capable of providing compelete visibility of the deals across all the sales stages. TeamWave offers time logging as an out-of-the-box feature. 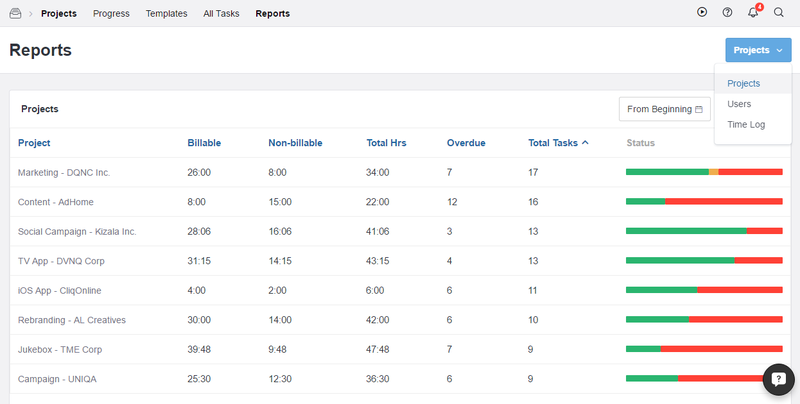 You can log time spent on each task and compare that with the estimated time. Download the time log report with a few clicks (individual projects/all the projects) and upload it to the invoicing app. As a small business owner, time is your most precious resource. You need reporting capability that provides actionable insights quickly and helps you drive sales. While Insightly provides reports, it doesn’t have data visualisation capabilities. It needs to be connected with Power BI (a reporting tool by Microsoft) to generate graphs and charts. TeamWave’s reporting feature comes with essential pre-built reports, so you spend time in gathering actionable insights instead of configuring & creating reports. These reports are both graphical and tabular (downloadable in CSV/XLS format). Which project is in a critical state with respect to overdue and total tasks? Which project is contributing the most to the total number of overdue tasks across all the projects? Which project has been continuously contributing more to the billable time log? Which user has maximum work load? Who has the most number of overdue tasks? Whether the time logged by team members has been consistently increasing or decreasing? Collaborating with your team and clients is an important part of project delivery. Insightly neither gives you option to collaborate with clients nor a way to carry out discussions and share ideas with the team. With TeamWave, you can collaborate with clients or vendors simply by inviting just one person from your client’s team and they will be able to independently add/manage their entire team. Discuss proposals, ideas and gather feedback from your team using the discussion board. Embed images and files right into messages. Give everyone a chance to weigh in on their own time. Reach consensus and keep important decisions on the record. Insightly has complex pricing structure that starts from $12/user per month and goes up to $99/user per month (annual subscription). Insightly doesn’t offer HR management app. You’ll have to use Zapier to set up some form of integration and it’ll require additional subscription fee along with time.